Writer and illustrator Beatrix Potter once refused to give Walt Disney the rights to making a feature film about her creation of the blue jacket-wearing, anthropomorphic Peter Rabbit. Now, after a history of storybooks published in 1902 and an iconography still existing through the merchandise of plush toys, Peter Rabbit gets his first theatrical film in 2018. It’s hard to say how Potter would take this live-action/animation adaptation of her beloved children's books if she were still alive, considering how times have changed since the dawn of the 20th century and how there seems to be an obligation to please the very young target audience with short attention spans. Using Miss Potter's classic story as a hopping-off point, “Peter Rabbit” might not be perfect in blending the pure with a modern sensibility, but it is agreeable, pertly humored and undeniably sweet-natured. 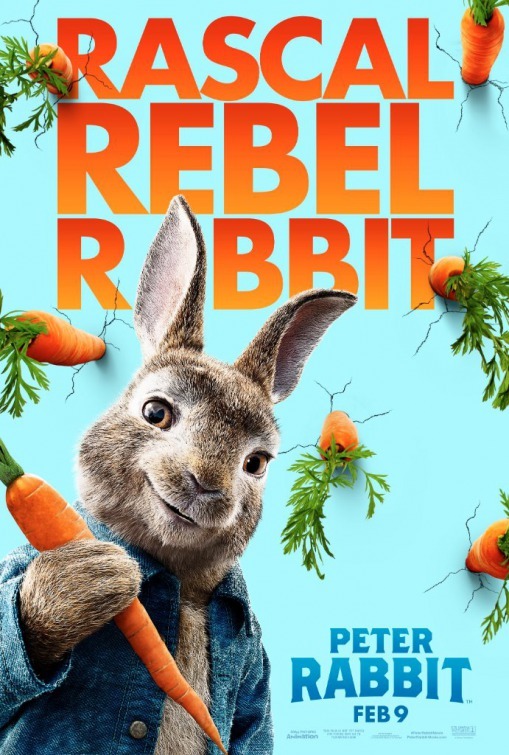 Braver than all of the woodland animals, the mischievous Peter Rabbit (voice of James Corden) routinely leads his family—sisters Flopsy (Margot Robbie), Mopsy (Elizabeth Debicki), and Cotton-tail (Daisy Ridley), along with cousin Benji (Colin Moody)—into raiding the vegetable garden of crotchety farmer Mr. McGregor (an unrecognizable Sam Neill), who once caught Peter and the girls’ father and cooked him into a pie. After the mean farmer drops dead from a heart attack while trapping Peter, McGregor’s great-nephew, Thomas (Domhnall Gleeson), leaves his manager position at department store Harrods in London to prepare the Windermere country home for sale. 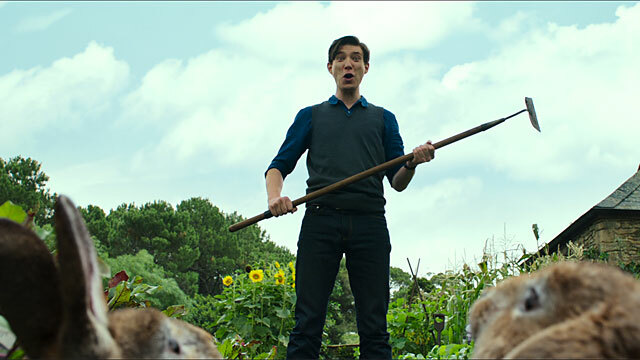 McGregor’s kind neighbor, artist Bea (Rose Byrne), has always defended the animals, but once Thomas moves in, Peter and his new human nemesis will not only fight over the garden but also Bea’s affections. James Corden’s cheeky, endearing voicing of the fluffy Peter Rabbit, a seamless and tactile CG creation, makes this feature-length film more than just tolerable; he is arrogant and has a little Ferris Bueller in him without ever coming off obnoxiously snarky. As triplets Flopsy, Mopsy, and Cotton-tail, who argue about who’s technically the oldest by seconds, Margot Robbie, Elizabeth Debicki, and Daisy Ridley are somewhat interchangeable, but all fire off their one-liners with enjoyable gusto and seem to be having fun with their voice performances. Colin Moody is also amusing as hefty cousin Benji, who misinterprets putting his dressing on the side when he eats lettuce. It would seem thankless for the human actors to act their scenes opposite invisible creatures added in post-production, but they are game players. Rose Byrne is beyond charming and brings screen appeal as always to the part of Bea, who may be nice and flaw-free considering her character is based on illustrator Beatrix Potter. Bea leads an easy, simple life in her little countryside cottage, talking to the bunnies, who don’t talk back to her, and painting illustrations of Peter and his family when she’s not painting her abstract/awful works of art. Playing Thomas McGregor, the affable Domhnall Gleeson amuses when mugging for the camera, but he also has the difficult task of being as grumpy and ruthless as his great-uncle and then redeeming himself enough to make nice with the rabbits and make his garden-variety romance with Bea play. Based on its trailers—which came off shrill and seemed to distill all of the frantic slapstick bits from the final product—“Peter Rabbit” will undoubtedly be pre-judged, but that shouldn’t be. Amidst the charming dynamic between Peter, his siblings, his cousin and Bea, the film is chock-full of cleverly self-aware wordplay, visual gags and well-executed slapstick. There’s a “Babe” reference aimed at Pigling Bland (Ewen Leslie); a radicchio joke that Benji tells Peter not to explain; a literal deer in the headlights; a running joke involving a crowing rooster being shocked each morning; a three-card-monte trick with flower pots; and a fox making an amusing walk of shame after the party Peter and the animals throw at the McGregor home. The soundtrack is also listenable, mixing it up with Len’s 1999 hit “Steal My Sunshine,” The Proclaimers’ “I’m Gonna Be (500 Miles),” and then using a slow cover of Clean Bandit and Jess Glynne’s “Rather Be" and Portugal. The Man’s popular “Feel It Still.” The witty, wonderful “Paddington 2” might still be playing just a few hops over, but “Peter Rabbit” deserves to be an option for family entertainment. Interesting! I must share this post with my nephew, as he was looking for new movies and series online. It all started because he finished watching all the shows by Andrew Yeatman on Netflix quickly. 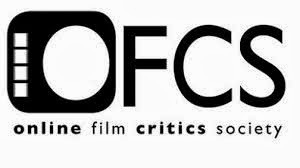 I am helping him refill his watch list.